Ready to upgrade their website, Slant Partners led the design direction and provided us art work to bring their idea to life. We worked closely with their team to cover every detail and ensure we could implement a fully responsive site. 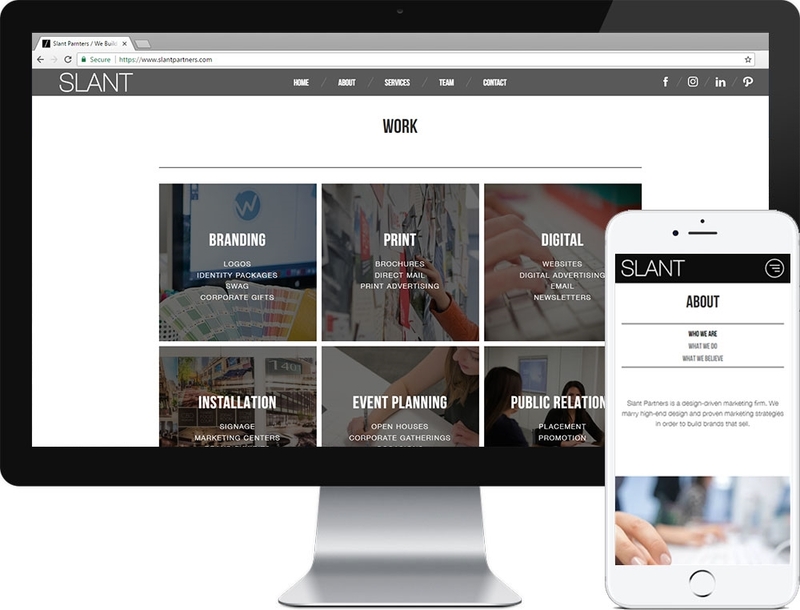 June 2017 Refresh - Working with Slant Partners, we have refreshed the site to include new performance optimizations such as image and content lazy loading, use of a service worker, and more. Additionally, a new custom content management system (CMS) was developed to let Slant manage their team members, partners, and work samples. This project is a 2015 GD USA Web Design Award winner.